Buy CFP Time a Coffee. ko-fi.com/cfptime - Ko-fi ❤️ Where creators get paid by fans, with a 'Buy Me a Coffee' button. We are indexing security oriented call for papers for all conferences around the world. Happy CFPing! 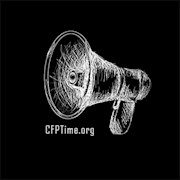 We are building https://www.cfptime.org - If you like that project and want to help us, feel free to tip us for some coffee :D Happy #CFPing! Secured Payments. Support goes to CFP Time's account. New features coming in the next upcoming months! Upgrade CFP Time to a yearly Gold Membership with a one-time payment.